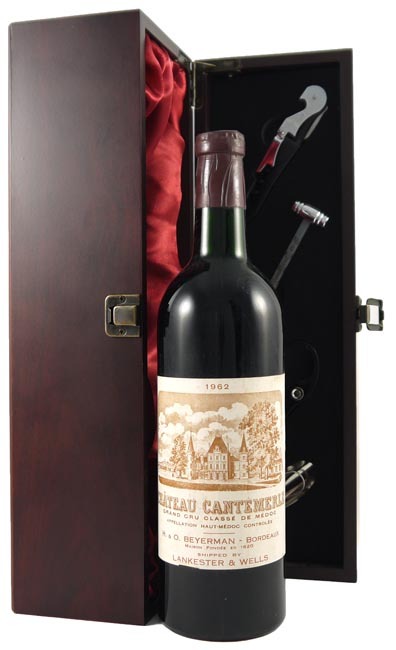 From the very good 1962 vintage, this exquisite red wine is stylish and elegant with a silky texture and fine tannins. Drink now - 2021. The 1966 vintage in Bordeaux was very good with good weather patterns. The winter was mild with fine weather hitting the region by Spring which produced good flowering. June was cool and dry and there was some rain in July. August was a dry cloudy month but the harvest was saved by a lovely hot September which led to the harvest starting in early October. All the major regions of Margaux, St Estephe, Pauillac, St Julien and the Medoc produced powerful wines with great ageing potential.